You can have the world’s greatest product, but if you can’t show how customers are using it and benefitting from the results, you don’t have much ground to stand on. Rarely do potential customers – and especially engineers and scientists – want to be the first to use a new product, and journalists will tell you to call back when you have a customer example they can share with their readers. When you have those key customers who are benefitting from what your product offers, write a case study about the customer’s experience. Your case study will help you tell others about your product through a real-world example that illustrates how it was implemented and the benefits your customer is realizing. When you are selecting a case study to write, choose a customer who will tell your story well. Find a customer who has significant, quantifiable results in an application that is relevant to the most people that will show other potential customers the value of your product or service. G Systems, a TREW client, quickly developed three test systems for the Orion. With NASA and Lockheed Martin as clients on this project, G Systems decided to write a detailed case study for this project. As you’re helping your customer solve their application with your products or services, mention that you’d like to complete a case study of their finished project. You may even ask if you can include a case study in your sales contract during negotiations before the sale is closed. This is especially helpful in the negotiation phase when your customer is asking for a discount or “freebies” throw in; you can compromise by including a case study that benefits you. Also make sure that you communicate the mutual benefit of a case study for you and for your customer. Often times, the case study will highlight the benefits of your products or services, but it will also help the customer showcase their success. By later putting the completed case study on your web site, you help improve the customer’s web presence and further their company name. If you want a case study that showcases the benefits of your products or services, you’ll need to write it yourself. By writing it yourself, you can easily include key messages that you’ve defined for your company. The new functionality or solution they now have because of your product. Write your case study in a way that relates to other potential customers and shows a quantifiable result. This case study for NASDAQ shows Charles Schwab’s success after switching to the NASDAQ Exchange. Although the case study is about a financial institution, NASDAQ conveyed Schwab’s successes in a way that made them relatable to any publically-traded company, showing that with NASDAQ, Schwab received a superior market model, lower trading costs and listing fees, and greater liquidity. Draw readers in with quantifiable, results-focused headlines. 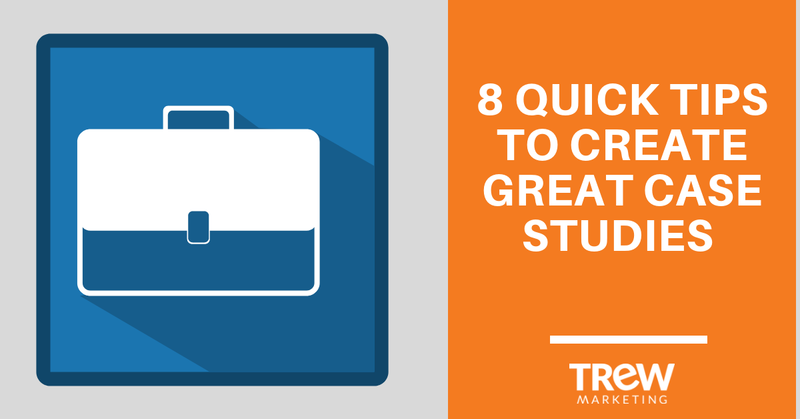 Use prominent content in your case study to catch a potential customer’s interest. In this case study, a headline with a quantifiable result quickly catches a potential customer’s attention and draws them in. A reader wants to know how they were able to do a system migration with a small amount of downtime. 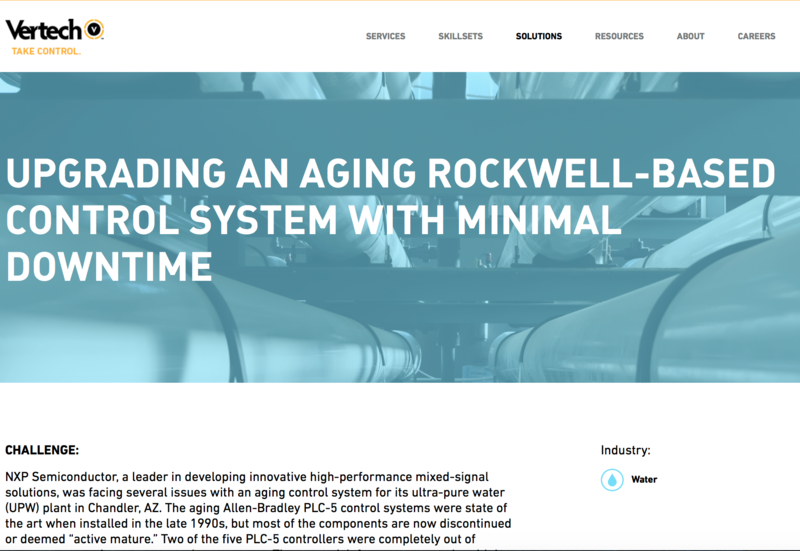 Vertech, a client of TREW, wrote this case study which grabs their personas by explaining how you can have minimal downtime on your next system migration. After you draft your case study, you’ll want your customer to review it. When sending it for review, highlight specific areas for them to look at, and include all images or screen shots you want to use, so that you can get all of the content reviewed and approved at once. In addition, draft a specific quote that they can review and approve so that you can use that quote and its attribution on your website, in a flyer, or in a news release in the future. 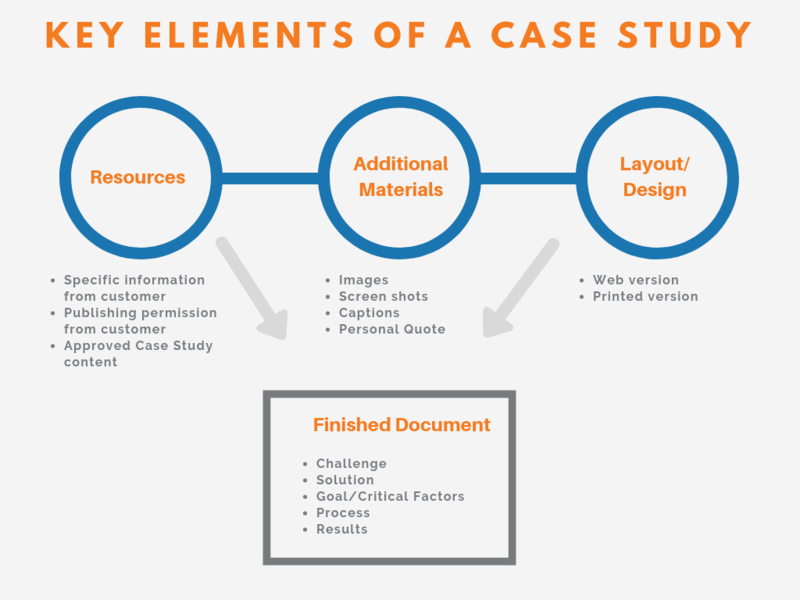 Make sure you have all the necessary elements for a compelling, effective case study. Elements you need, are well-written, customer approved content and additional images or graphics, laid out in a finished document that clearly communicates the customer’s challenge, solution, goals or key factors, implementation, and results. Put together all of the content you’ve created to form a branded, finished document. Lastly, share your success in all channels. Put the case study on your website, blog, share on social media accounts, and link back to your product or services pages. Bring it to sales meetings and include it in corporate slides. Write a news release around it and send it to relevant media, or put on the wire. Use your proven successes to generate new business. Looking for additional insight? Check out our free ebook, "Smart Marketing for Engineers: Build Your Foundation."